We have a plan! 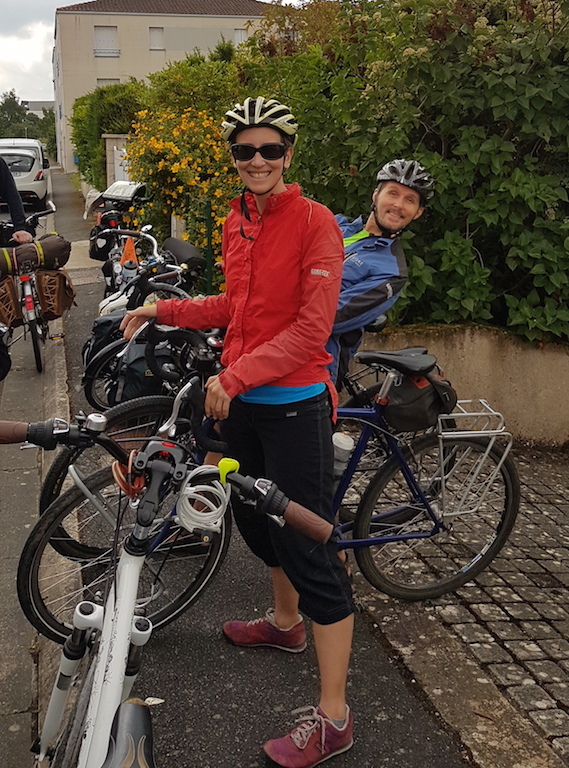 After much deliberation and weighing up all the options and variables, we came up with this: head along the Loire river to Saumur on the EV6 then follow the Vienne river down to Poitiers, next cross over to the EV3 and head down to Angouleme. 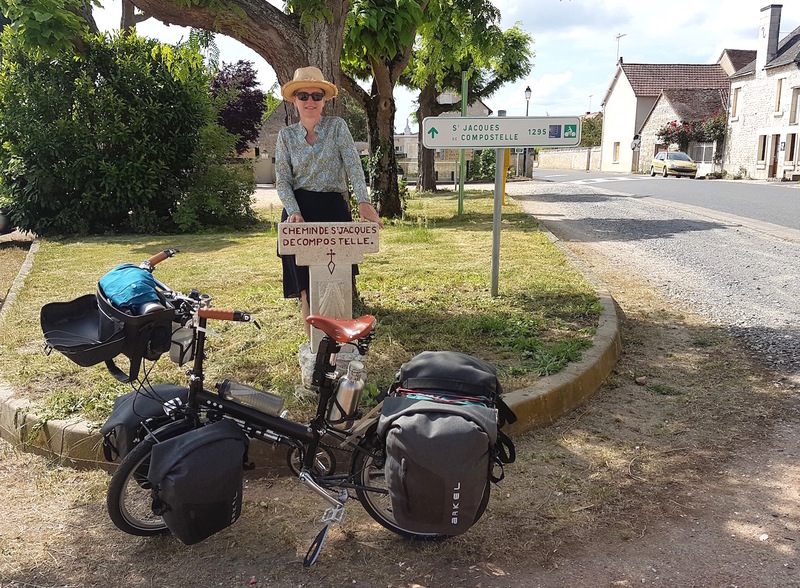 After that, follow the Charente river to Saintes and then across to Royan to catch a ferry to Le Verdun and travel down the coast as far as time allowed before heading down the Lot Valley to Cahors to meet up with friends. 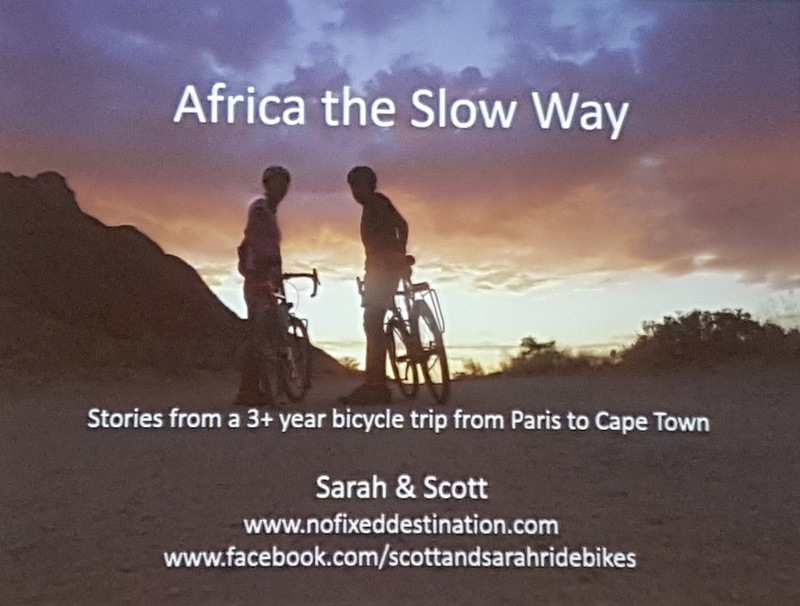 After that, it gets a bit more sketchy, but North to Dijon, then East to Prague, then North to Berlin is the general outline of the thing … for now. You can check out our progress on our route map. The Husband has been a real sweety and waits patiently while I drink vast quantities of water and try to regain control. He has even offered to urinate on me if I do burst into flames! How kind is that? All this sun and hilly terrain have done wonders for our appearance. We now look a lot less like pasty office workers and have taken on the distinctive marks and muscles of cycle tourers. We now have weird and wonderful tan lines on our feet where the sun goes through the holes in our sandals and on the edge of all the bits that poke out of our clothing, which are now quite tanned compared to our pasty white torsos. We have also developed wrinkle gaps. When we cycle, our wrists are bent holding the handlebars so when we straighten them, we have white stripes in the troughs of our wrinkles – it’s all very attractive! The Husband has now taken to cycling with loose wrists in order to fill in the wrinkle troughs … it can only end in disaster! It was really interesting and we managed to understand most of it even though it was obviously in French! We then went for a beer with a whole bunch of people then back to Anne and Michel’s very comfortable home in the early hours. Next morning we were treated to a real French breakfast and then off on the group ride. 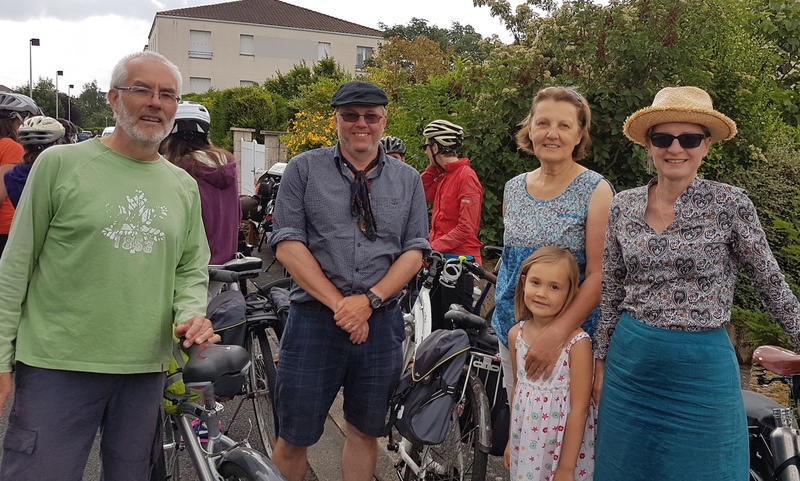 It was huge fun to cycle and chat with everyone and we were treated to a guided tour of a beautiful route – lovely views, chateaux and even some cherry scrumping. 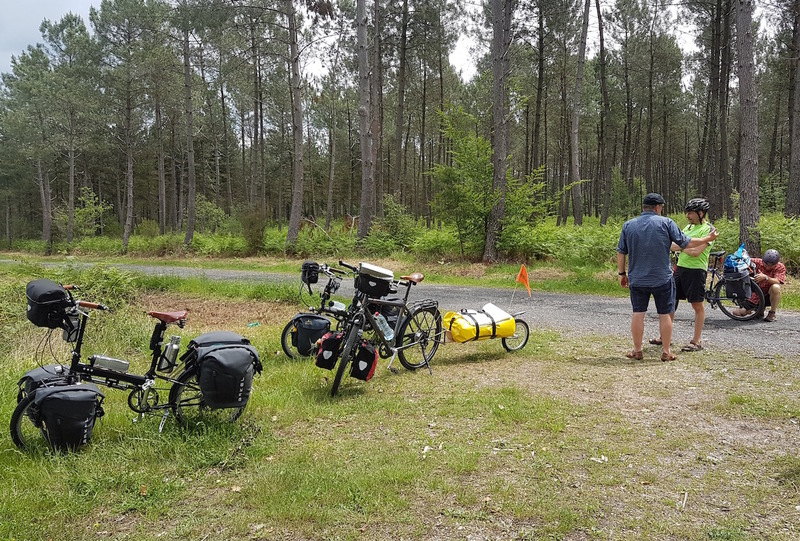 We then continued on to Angouleme oscillating between the EV3 route road signs, the marked EV3 route on our map and the EV3 route directions we found on a cycling website – all were different! There were a lot more hills as the EV3 route follows the pilgrims route so links up lots of churches and religious monuments, which are usually placed on high points in the landscape. There was also a very persistent head wind for good measure. We arrived at our Airbnb accommodation and almost poured ourselves through the door. Thankfully it was excellent and cool, in both senses of the word, with a real bed that we desperately needed. We stayed a couple of days in Angouleme as we needed to sort out some things. Not least of which was to find and buy a new mattress. Unfortunately, my mattress had turned out to be a major ‘fail’ and the Husband’s is also causing problems. I should point out that the mattresses themselves are excellent, it’s just that they don’t work for us. My mattress is a Thermarest Neoair Extherm and achieves it’s thermal rating through a layer of silver foil that reflects your body heat back at you and the cold of the ground away from you. It’s an excellent concept but when you add in multiple hot flushes, it creates a nightmare scenario of basting on a hotplate. Add in polyester bedding and no way to escape the heat zipped in to a tiny two-person tent in the dark, and you’ll understand my problem. The mattress I used last time has down to insulate the mat, which would have worked fine had I known, but it was a short mat and I found that my feet were always falling off so I decided to get a longer one. The Husband had a huge extra wide, long and thick mattress last time, which in practice was overkill and relatively heavy and large to carry so he went the other way, too far unfortunately, and now has quite a small thin mattress. Needless to say, he has a lot of trouble fitting on and staying on the mattress through the night. After many sleep-deprived nights, we decided that a solution MUST be found! We have since ordered the Long/wide version of the Exped Synmat Duo Hyperlight as this will pretty much fill the floor area of our 2-person Hilleburg Anjan tent and make use of the gap in the middle and the space at the sides that is currently going to waste. The hope is that this will provide the extra space the Husband needs with less chance of body parts falling off and the insulation material is non-reflective so should work better for me. We have also ordered the sheet for the mat as it is made of a natural bamboo derivative, which will hopefully be more comfortable than polyester. Fingers crossed that it works! An added bonus is that the double mat will weigh less than both our current single mats. 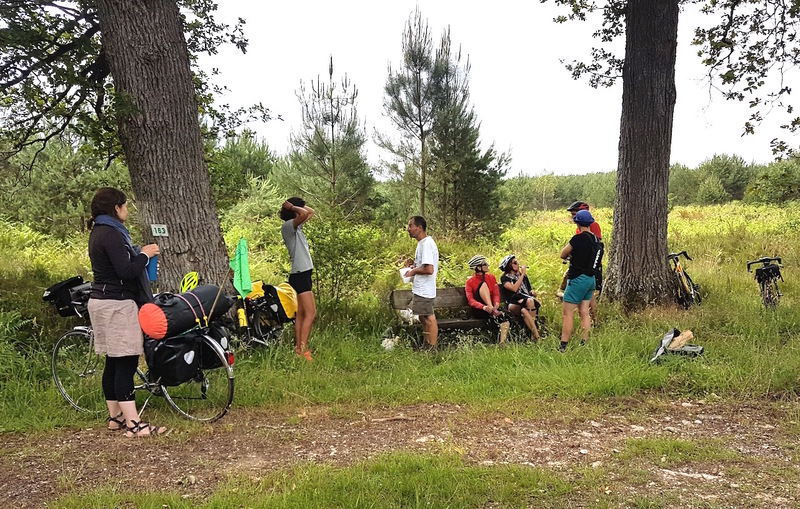 So after Angouleme, the terrain got a lot flatter and easier, which was nice … but after Royan, it got a bit dull as it’s just straight roads lined with pine trees for mile after mile. We are currently holed up in a really pleasant and empty campsite in Hourtin waiting for our parcel to arrive at the Poste Restante. Time is ticking by and we really need to get on the road again in order to make our rendez vous in Cahors but “I’m not leaving without the new sleeping mat!” she said in a desperate and slightly crazed tone. It’s very hot by now in Poitiers, we hope that you are staying in a cool place. We will follow your adventure in Europe. Bonne route !! No, it is really hot!! We are on the coast near Bordeaux and it was 35 degrees today! Oops! I just realised that I spelt Michel’s name incorrectly – my apologies. Next Post It’s all about the people you meet!